About 15 minutes before the sun peeked over the distant Chisos Mountains of Big Bend National Park, the horizon seemed to come alive in a beautiful orange and yellow glow. 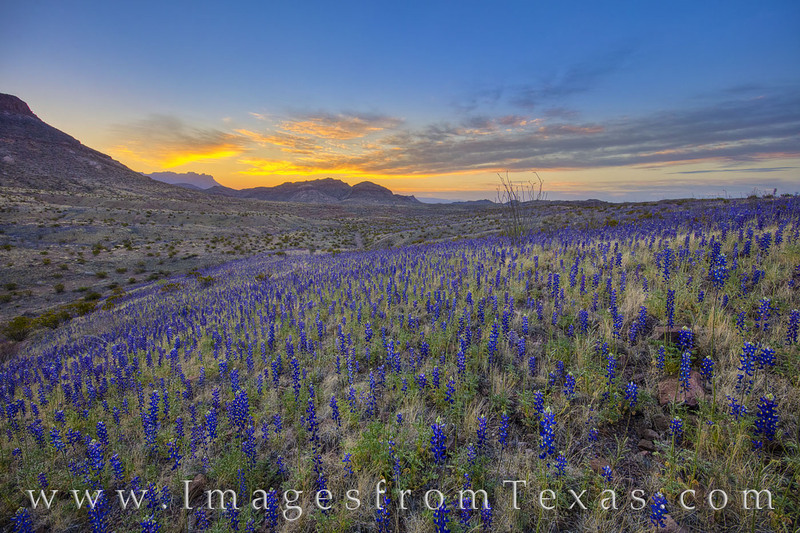 In the foreground, bluebonnets covered the slopes and valleys as far as the eye could see. In what was likely a once-in-a-lifetime bloom, this desert superbloom gave more color to this rugged landscape than I’ve seen in my years of visiting and shooting this park. Even the park rangers and a few locals said they’d never seen as many bluebonnets. It was quite a sight. Photo © copyright by Rob Greebon.